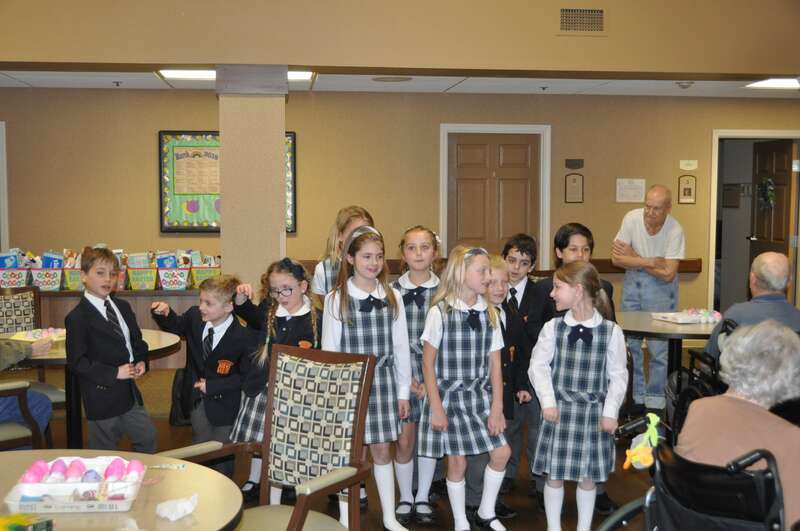 The first-grade students took part in an apostolic field trip to the Lourdes Mendelson and Clausen Manor senior communities. 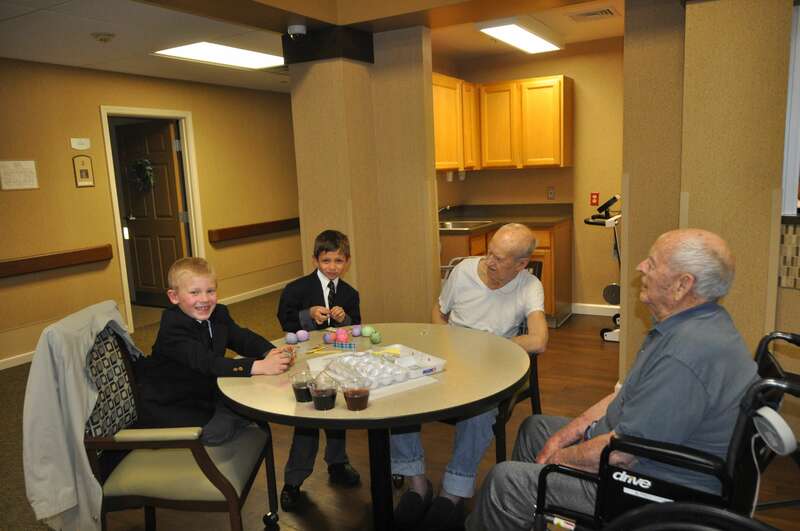 The students made Easter baskets with items donated by our students and their families. 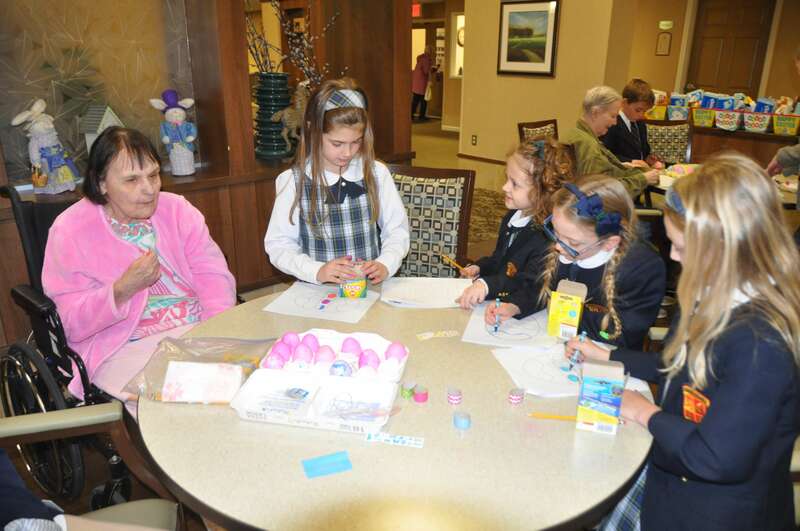 While at the senior communities, the students spent quality time with the residents dying Easter eggs, reading to them, and working on activity packets. 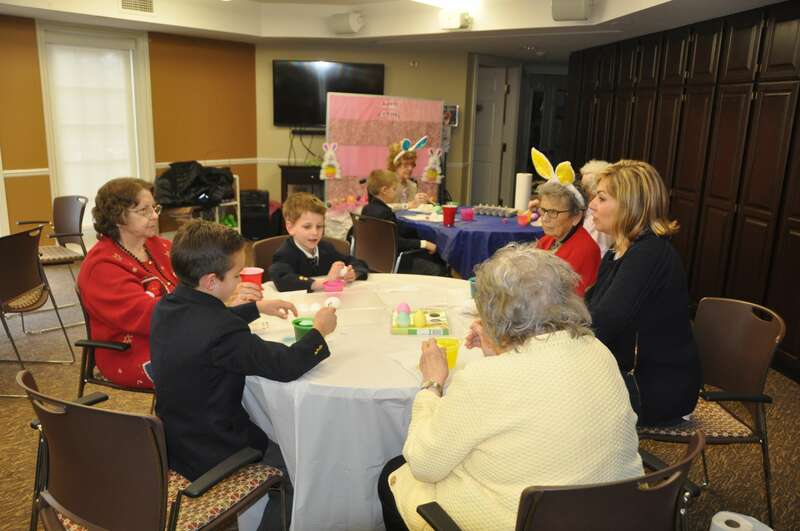 A wonderful time was had by all.